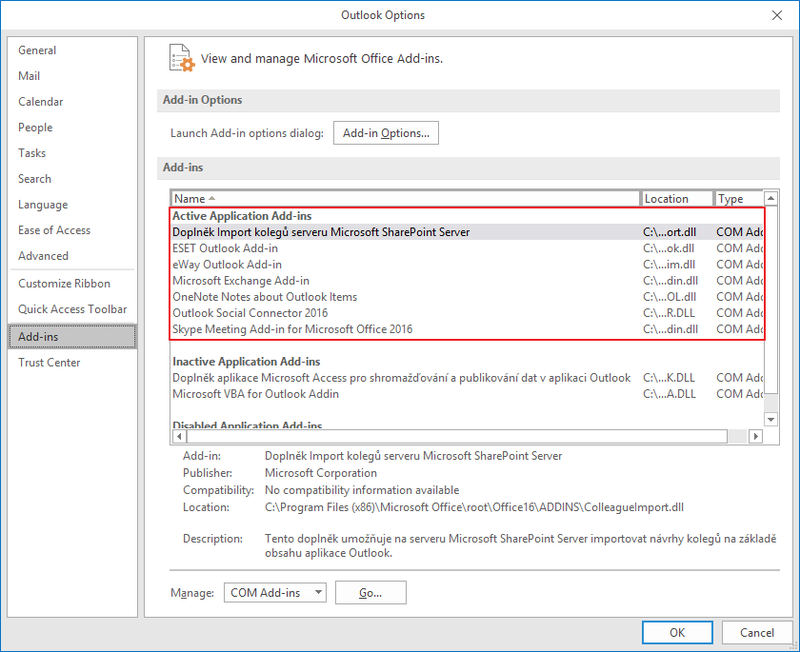 Microsoft Outlook may contain different add-ins that have influence on its functions. eWay-CRM is also an add-in. The list of add-ins helps to find out whether eWay-CRM will run correctly. 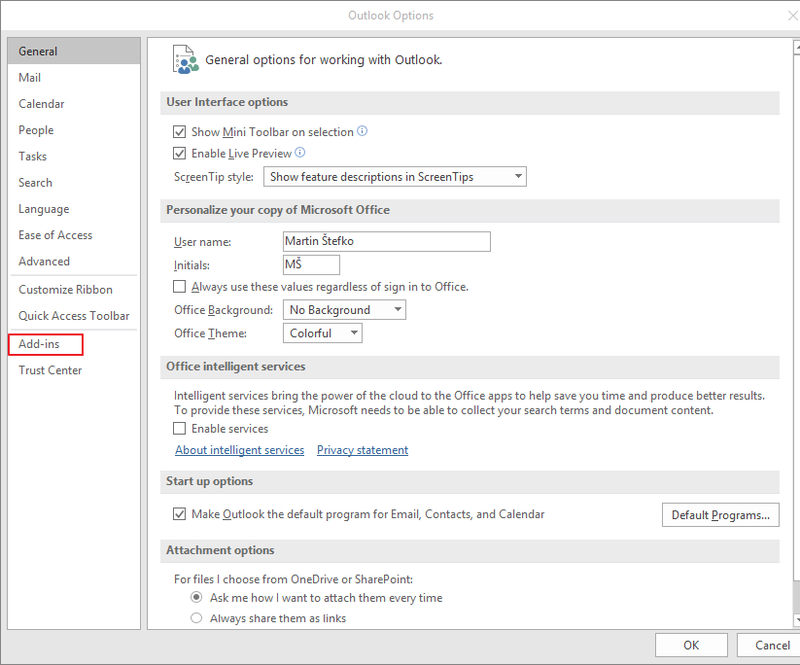 Open Microsoft Outlook and click File in top left part. In the dialog, click Add-ins. Now, you can see list of all add-ins. 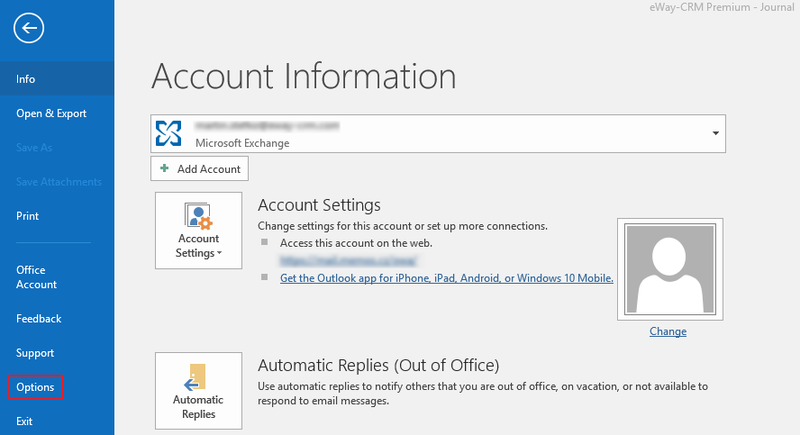 Active add-ins are at the top of the list, but you can see also see inactive and disabled add-ins there.